Getting the privilege to meet a #realbride who's a fellow Aussie is always a treat! 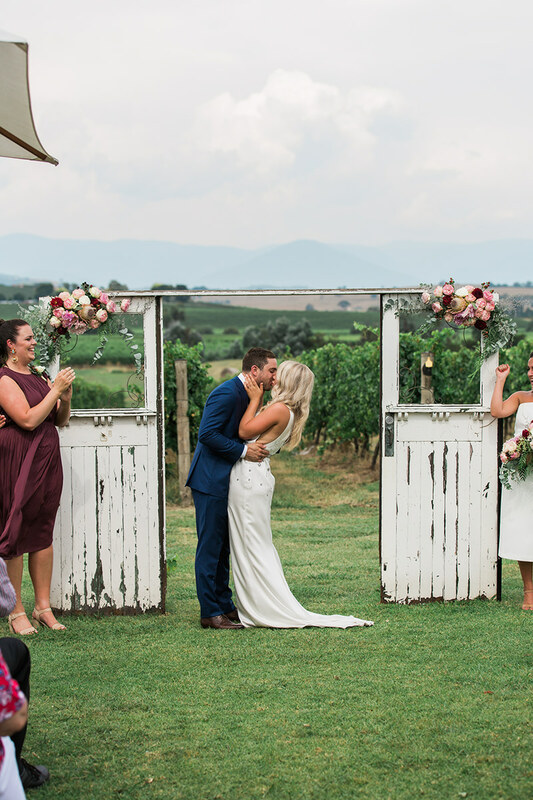 Check out Em aka Emily Robinson Smith in her Amy gown, looking effortlessly gorgeous with the Yarra Yarra Valley in Victoria as the backdrop to a wedding that looks as beautiful and heart-warming as Em herself! Brendan was a part of my life for a long time before we got together. We grew up in the same country town and he was my cousins best friend; I admired him for a really long time. My first impression was that he was vivacious, hilarious and incredibly charismatic. One night at the pub I plucked up the courage to tell the beautiful man how amazing he was, but like a true gentlemen he recognised ‘dutch courage’ and made sure I got home safely. I was mortified!! We crossed paths often after this night, and despite my embarrassment I continued to lust him. Some years later, when time had passed and circumstances had changed, it was clear that the attraction was mutual (phew!!) and from the first day we both knew the other one was it. Boy were we in trouble, and didn’t our friends and family know it – our best laid plans evolved to include the others. He was my person instantly, and how could he not be? Beneath those baby blues and killer smile is an insane intelligence and generosity. He excels at grand gestures, but it’s all the little things he does every day that really defines him; knowing when I need a cup of tea or a glass of wine (or both at once), and when a cuddle says more than words can. Our relationship is built on support, playfulness, accepting the dark parts and choosing to love each other anyway. The world just feels better with him in mine. My bridal style was relaxed, soft and neutral. I knew I wanted a dress that was light and form fitting, so I’d be able to move freely and dance around, which I absolutely did! 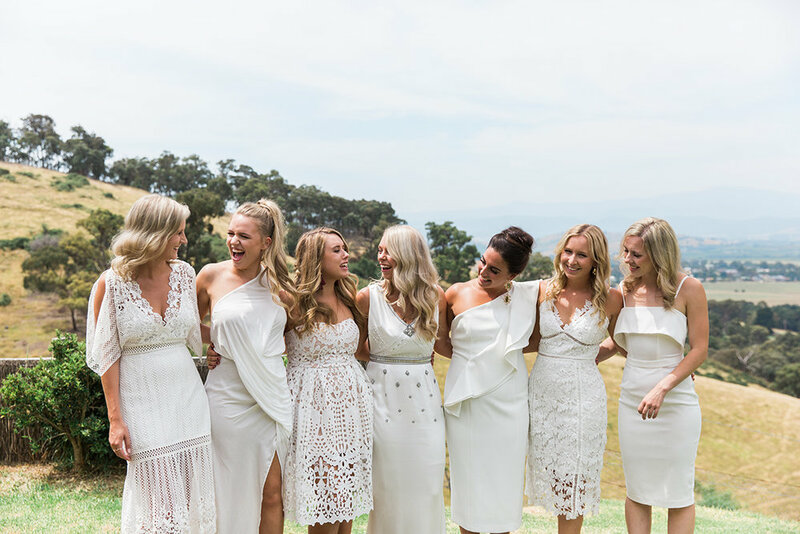 I loved the idea of my bridesmaids selecting individual dresses that made them feel their most beautiful, which wasn’t hard (look how stunning they are!). It was really important to me to spoil the amazing women in my bridal party. After all, I wouldn’t be me or get through life if it weren’t for them! The bridesmaid’s outfits really bought everything together, and complimented Amy perfectly. Years before we were even together, I had saved a photo of Amy that I saw on Instagram posted by Australian blogger. I wasn’t someone who had dreamed up the details of their wedding, I just genuinely adored this gown. It was so unique! 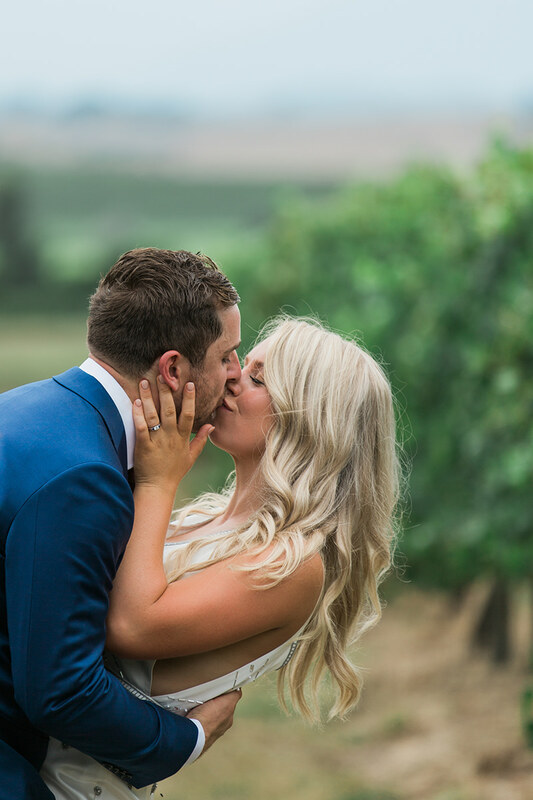 When we got engaged, I was so excited to visit Amante Bridal, their selection was incredible. In the happiest of coincidences at my first appointment, I saw they were stocking &FL. I completely lost my mind, and surely excitedly yelled at gorgeous Hayley and Stace, “ARE YOU STOCKING AMY?!”. She was due to arrive in the coming weeks so I made another appointment to try on my dream gown. I cried when I saw it, and when I put her on I knew I wasn’t going to wear anything else. My maid of honour captured the match between Amy and I perfectly; “regal boho” . It was just meant to be! "Every day we make a choice to be together; I choose you, you choose me. It means supporting each other and challenging each other." Relaxed;this was a big priority when we imagined what our wedding would be and what it meant to us. Ultimately, we designed a day that we would love to attend. We have many talented and creative friends, and wanted to include as many of them as we could in our day. We met our incredible photographer Sarah in our travels, my amazing best friend/maid of honour Candice was our makeup artist and phenomenal Kate styled our hair. Our dessert market was created by our darling friend Connie, we hired mutual friends as our musicians and our mate Leon even took over on percussion throughout the night. The vendors were didn’t know prior, we selected because their vibe mirrored ours, particularly Cathy & Lachlan from Acacia Ridge. This amazing venue did most of the aesthetic heavy lifting and really captured the feelings of the day; an indoor/outdoor cocktail vibe surrounded by vines, gardens and lighting. 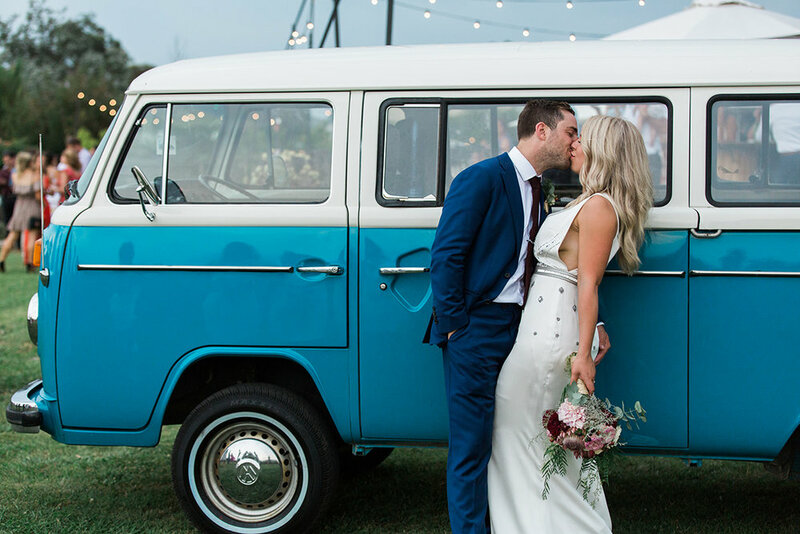 We wanted to add special touches to capture festival vibes, like our kombi van photobooth and woodfire pizza food truck. Our guests were comfortable, well fed & watered and had plenty of room for dancing and catching up with each other.Our day was centred on fun, family, friends, dancing, music and everybody just loving the hell out of each other. The dance floor was crowded before the sun went down, everyone kicked their shoes off and were getting around each other despite the erratic weather (which we seldom noticed throughout the day!). There were many unforgettable moments throughout the day; seeing Brendan’s face for the first time that day, having my Mum and Pop walk me down the aisle, opening a precious locket with my Dad’s picture inside, sharing champagne with my favourite women as we got ready, and finishing the night with Brendan eating sandwiches and drinking whisky. I was insanely spoilt by my Mum, Sisters and girlfriends, they made me feel so special! My sister’s orchestrated an enormous surprise in Rachael, our videographer. They rallied our closest friends and family who all contributed to gift us an amazing package for us to remember our day forever. They managed to keep this under wraps until the night before the wedding, we were blown away! However, my favourite thing about the day was the speeches. They were the perfect combination of hilarious and heartfelt. They included a surprise performance of the Lion King’s “Can You Feel the Love Tonight” with custom lyrics by my sisters and two best friends and a poem by Brendan that had everyone in stiches. 1. Organise yourself early! It concentrates the stress into a small pocket of time so your life isn’t consumed by the wedding. 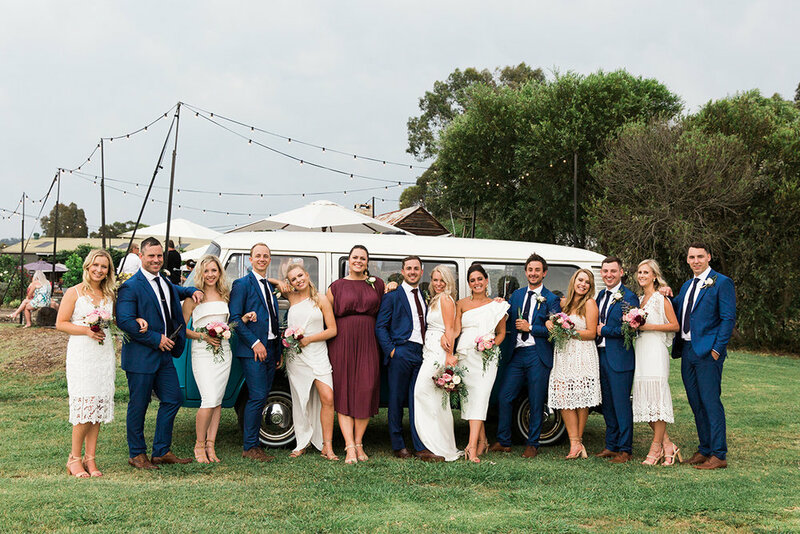 We organised most of our ‘big things’ within the first couple of weeks after we were engaged, so we could enjoy the lead up with each other and our bridal parties. This worked really well for us, but everyone is different! 2. Spoil your bridal party! These people have helped you straddle the line of sanity thus far, and are crucial to remaining sane throughout the planning process. Make them feel wonderful and special, they are your greatest allies. They will put up with you, especially at those times when you can’t put up with your partner. Our wedding was a fabulous reason to spend extra time with our favourite people. Nothing changing – phew! People keep asking if we’re enjoying the post wedding bubble, but we couldn’t wait to get back to normal life, because normal life is pretty damn good!